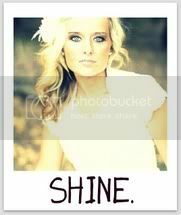 For Ashley at The Shine Project, today is a special day! It is a day to spread the word about a new project that will help change lives! How you can help: donate money for the fund, give items for the silent auction, and spread the word! 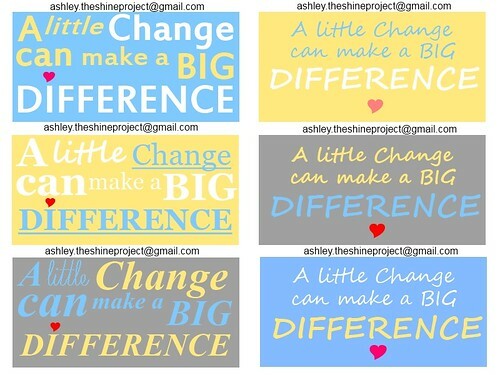 Contact Ashley here: Ashley.TheShineProject@gmail.com if you can help in any of those ways! :) Also, if you have connections to sports players and venues or any business who would like to donate an item, let her know! 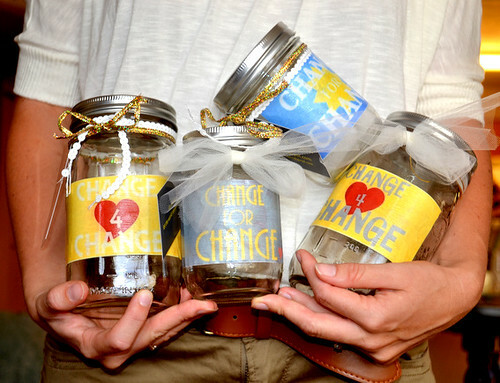 let me tell you about the CHANGE FOR CHANGE jars Ashley is kicking off! Here is the plan! People all over the country will have jars (in businesses, churches, schools, wherever really!) to collect leftover money for three months and then can cash it in for the scholarship fund! How you can help: Collect money in a jar for the scholarship fund! Talk to your friends and family to get their help too! You can give a jar to a local business or you can start your own! 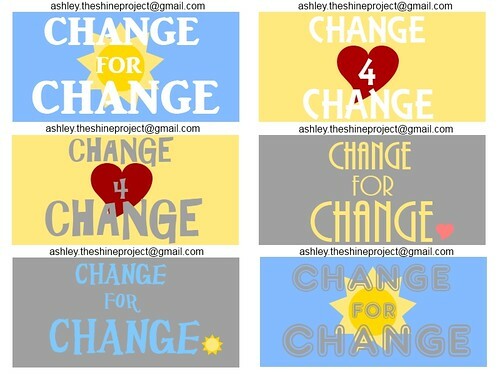 If you have any questions, feel free to ask Ashley at: Ashley.TheShineProject@gmail.com. And last but not least, an inspirational video on her project that is being shown today for the first time! Okay...I saw it earlier...hehe. Friends, if you can help out in any way I highly urge you too! This is so important! As many of you know, earlier this year I worked at a psychiatric youth residential treatment center for at-risk youth. All I can say is that there are many very deserving, hardworking, bright youth that deserve a chance to attend a higher education and I know some of these youth wouldn't have the means to. I'm not saying the scholarship is for "at-risk" youth (or whatever that means) but there are great youth out there who are talented and could really use the scholarship! This could change their life as well as those who they come in contact with and their future generations! I'm so happy that I could help spread the word about Ashley's scholarship fund for inner city school kids! Take a look at her blog HERE. Happy 4th of July weekend all! I love the Shine Project. :) I read that post last night- so inspiring! !